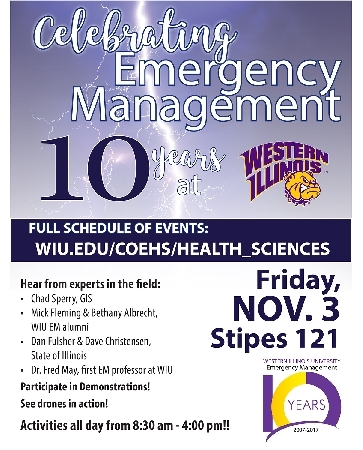 MACOMB, IL – The Western Illinois University Emergency Management program will celebrate its 10th anniversary Friday, Nov. 3. The unique degree program is the first and only University-level program of its type in Illinois. The department was established at Western in 2007 to meet the growing state and national demand to address homeland security concerns and demands for emergency management personnel in public and private sector organizations that are responsible for health and safety issues, environmental concerns and hazardous material. While developing the curriculum, Western faculty and staff worked closely with Federal Emergency Management Agency (FEMA) officials to ensure the program would address essential topics and issues. 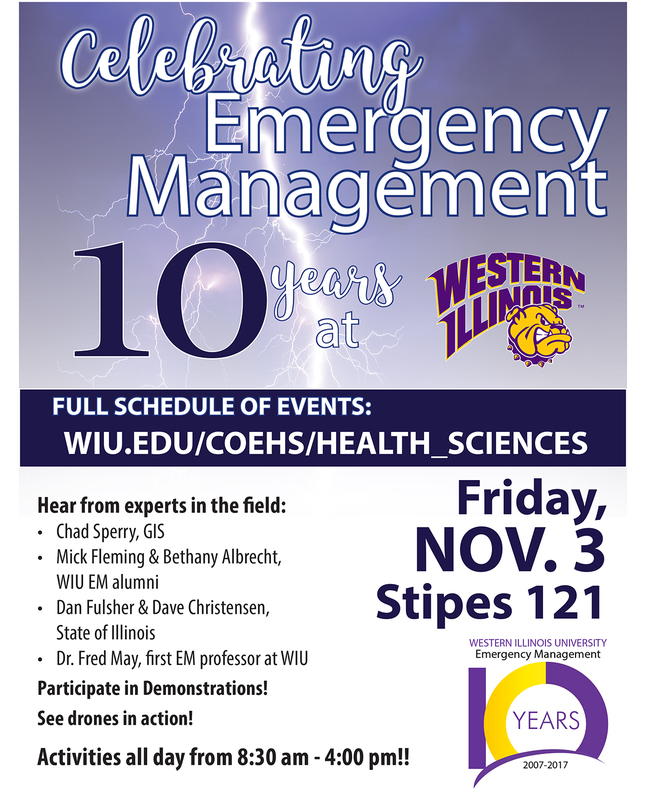 For more information about the academic program, visit wiu.edu/coehs/health_sciences/undergraduate_programs/em/.